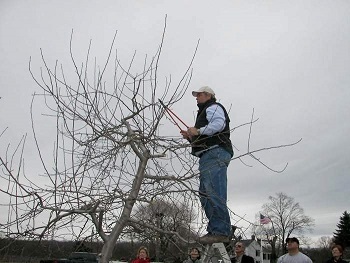 Gary Mount, owner of Terhune Orchards, is offering a free pruning class in his orchards on Sunday, March 10 at 1:00pm. Mr. Mount is frequently asked for his advice on pruning and other cultural practices in the orchards. Mr. Mount will explain how he prunes and answer questions right out in the orchards. He will also discuss new varieties of fruit trees suitable for planting by the homeowner and the difference between various rootstocks. The class will be held rain or shine. Terhune Orchards’ own cider and donuts will be served as refreshments.